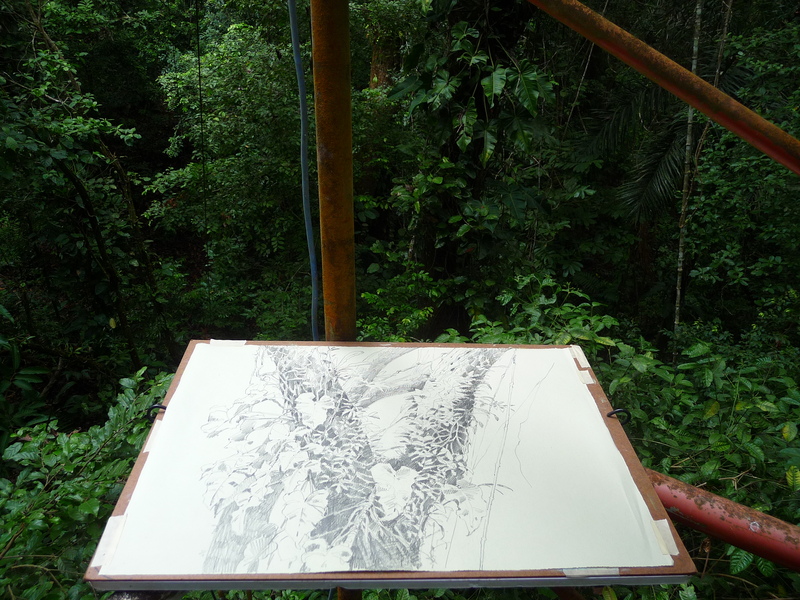 This drawing began high up (75 feet or so) in a scaffold tower on Barro Colorado Island. 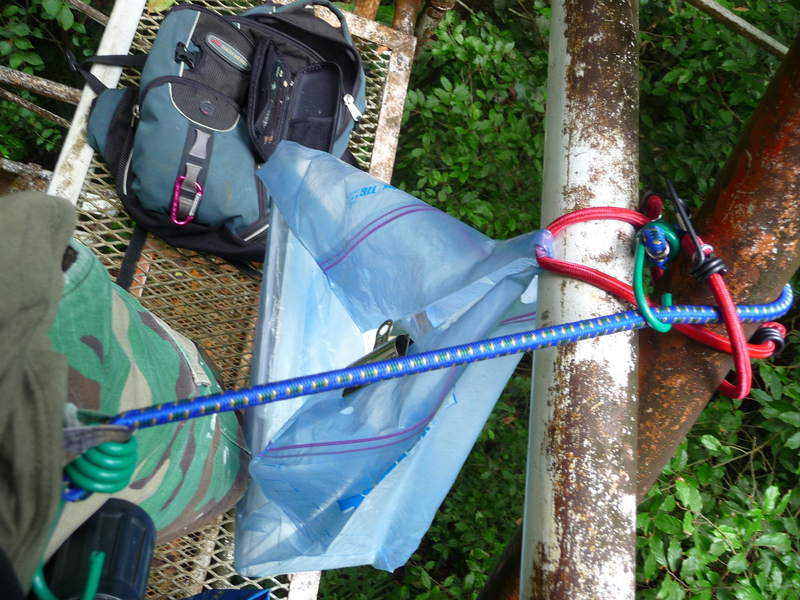 I bungee-corded myself and all my stuff to the platform pipes and tried not to look down. Rufous motmots are big, colorful birds that hide in vegetation where you can’t see them unless you are very quiet and sneaky, too. They are natural ventriloquists and get their name, “motmot” from their voices. Listen to the sound clip below. This was my drawing platform, about 20 inches wide, five feet long and wet and mossy. Do you think the bungee cords would have held if I slipped? Kids, don’t try this at home. 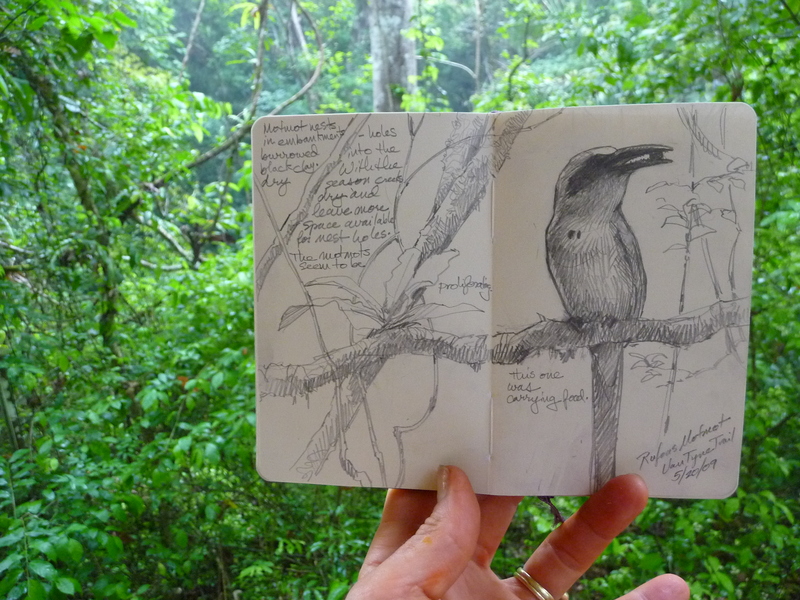 Sounds of rufous motmots calling on Barro Colorado Island, Panama.